Look vibrant and elegant in Sherri Hill 52397. This classic, short satin dress has a strapless bodice, with a square neckline, square back, and exposed zipper closure. The short, A-line satin skirt has side pockets, for a modern touch. 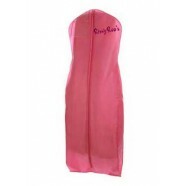 Have a fabulous time in this short dress at a Bat Mitzvah, Sweet 16, or Homecoming Dance.